Help us get this life-changing film into more hands, now. A prominent philanthropist once turned away our modest funding request saying, “No one knows, and no one cares,” as his response to Fred’s story and the message of the Native Two-Spirit tradition. 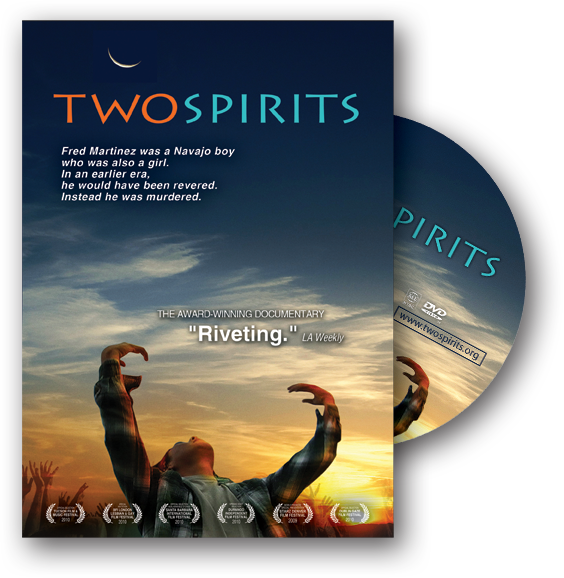 But now that TWO SPIRITS has aired with such great success on PBS, many people do KNOW and do CARE. Now we can change even more hearts and minds. Many of you have asked us (some demanded even) to work harder to get the film placed in more colleges and universities, communities of faith, and in the hands of more nonprofit organizations. 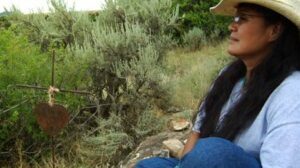 PBS stations that chose to air TWO SPIRITS covered about 90% of the country, but that leaves roughly 10 percent where the film is needed most and hasn’t been seen. We’re working quickly to raise $50,000 to target outreach and education efforts to place TWO SPIRITS where it can do the most good. 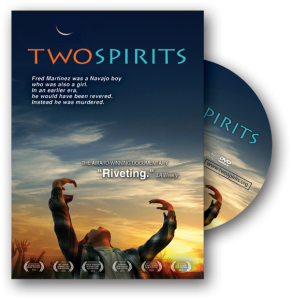 Contribute to this campaign so that more TWO SPIRITS DVD’s can be distributed to libraries, nonprofit organizations for use in their programs, tribal organizations, colleges and universities. We’ve got a long list of organizations standing by to receive copies provided by viewers. Thank you for expanding the reach of the film in this important way. As part of the work of The Fred Martinez Project and the film TWO SPIRITS, we have established The Fred Martinez–Two Spirit Memorial Scholarship Fund to support students who are Two-Spirit or are focusing their studies on Two-Spirit cultural traditions at any tribal college in the United States. Our minimum goal for this initiative is to endow a scholarship for $20,000. A $2,000 contribution has been received by the American Indian College Fund from a generous benefactor in the San Francisco area, so there is $18,000 remaining to be raised. A link from this site directly to the contribution section of the American Indian College Fund Fred Martinez Scholarship will be added to this website soon. But to make a contribution now, please make your check payable to The American Indian College Fund and note the Fred Martinez—Two Spirit Memorial Scholarship Fund clearly in the memo section of the check and mail it to the attention of Eileen Egan, American Indian College Fund, 8333 Greenwood Blvd., Denver, CO 80221 USA or call (303) 426-8900 for more information. Fred Martinez’s life ended too soon, but we honor the potential of who he could have been by investing in the future of other Native youth.